security, plane crashes, and airline policy issues. On 1 November 2013, 23-year-old Paul Anthony Ciancia allegedly used an M&P-15 assault rifle to attack TSA personnel and others at Terminal 3 at LAX. Ciancia, who was not a ticketed passenger, is accused of shooting and killing one TSA security officer and wounding two other TSA officers and one passenger. According to the FBI's charging document, Ciancia took his weapon out of a bag, and fired at a TSA security officer at point-blank range. Ciancia went up an escalator toward the security screening area, but returned to his first victim to shoot him a second time. This was the TSA officer who killed by Ciancia. The alleged gunman later shot two other TSA officers and a passenger before airport police confronted him inside the terminal, shot him several times, and took him into custody. How could someone get a gun into an airport? - While only authorized persons are allowed to bring weapons onto aircraft or even past the TSA security screening areas, the rules are very different in other parts of the airport. Local laws control what firearms are allowed to be carried in the non-secure areas of the airport, including the ticket counter areas where passengers take their checked luggage. In fact, passengers who want to travel with their firearms have to bring them into the non-secure areas of the terminal and have them inspected before the airline will allow it to be shipped as checked luggage. How could the gunman get past the security checkpoint? - There is typically a significant security presence in the TSA screening areas, and usually include a combination of TSA officers, airport police, and other security and law enforcement personnel. The investigative authorities have not release all the details of the attack, and it is not clear what security or law enforcement assets were available to keep the gunman from gaining entrance to the secure area of Terminal 3. How can anyone get that close to a screening area without a ticket? - Airports in the US are freely open to the public, and with rare exceptions like a heightened security alert, there is no screening of cars arriving at the airport or of people walking around the non-secure part of the terminal. Do TSA officers have guns? - TSA officers do not have law enforcement powers, and are not armed. They rely on local police or other law enforcement organizations to provide armed security. Were there police on duty at the Terminal 3 checkpoint? - The investigating authorities (led by the FBI) have not yet stated where law enforcement officers were located at the time of the shooting. Did the TSA or the government have any warning of a possible attack? - Neither the FBI, the TSA, or any part of the federal government has made any statement about what they new prior to the attack. Since Ciancia was not a ticketed passenger, there would have been little or no reason for for any federal agency to investigate him. However, the Los Angeles police department had been contacted by Ciancia's family, who had been concerned about his well-being. 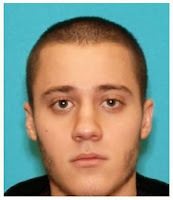 Police had reportedly tried to contact Ciancia in the morning on the day of the attack at LAX. Are other airports vulnerable to this kind of attack? - The security procedures in place at LAX are similar to what would be found at every US airport. While every airport has the same vulnerabilities as LAX, in order for an attack to succeed, there has to be an attempt either by a group or an individual. Since 9/11, there have been two attacks of this type in the US, both at LAX, and both involving individual attackers. In both cases, security or law enforcement assets at the airport quickly addressed the situation shortly after the attacks began. What can be done to keep this from happening again? - Many things can be done, and in the short term there may be an increased presence of police in or near airport screening areas. However, it is unclear if there will be any permanent changes in policies and procedures of the TSA, of airport police forces, or of airports. Major changes, if they occur, will likely not happen for several months. Coincidentally, the last time there was a similar attack at a US airport was also at LAX, at the terminal adjacent to the site of the attack on November 1st. On 4 July 2002, a gunman staged an attack in the area of the El Al ticket counter, and shot several people before El Al security personnel were able to subdue the attacker and shoot him to death. Two people shot by the gunman, an El Al employee and a passenger, were killed. The Houston Police Department produced the following video with advice on how to survive an active shooter event. While it depicts an attack in an office environment, it offers insights that could be used to deal with a similar unexpected attack in other locations, including an airport terminal. Were you a witness to what happened at LAX? If you were at LAX the day of the shooting, you could help the FBI investigate this crime. The FBI is asking anyone with information to submit it at laxshootingtips.fbi.gov. That site is for submission of audio, video, photos, and general information relating to the shooting at Los Angeles International Airport (LAX) on Friday, November 1. No piece of information or detail is too small. You can also call the FBI Los Angeles tip line at (888) 226-8443.